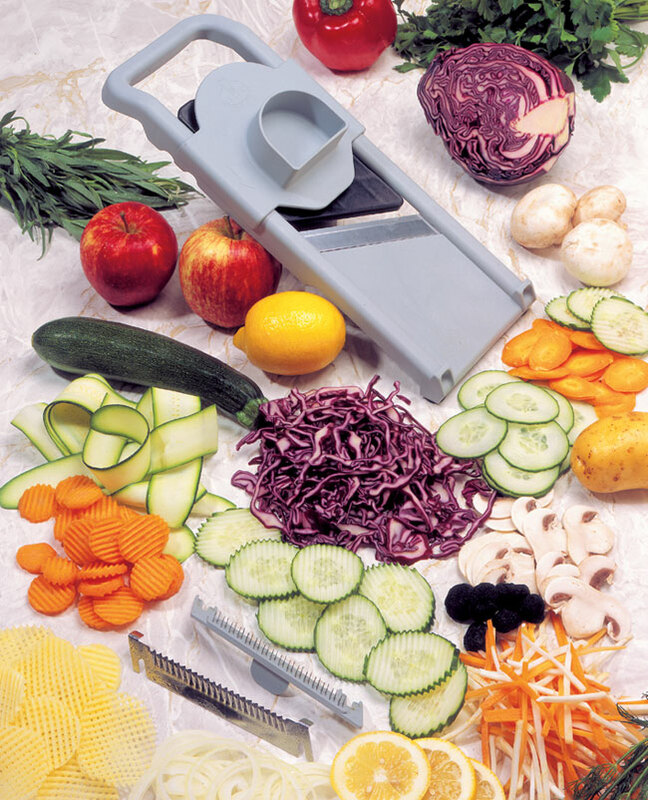 Thanks to its outstanding cutting edge and its slanted blade, the Mandoline 1000 guaranties perfect slicing. Compact, free of any attached foot and lightweight; it fits easily into a chef’s knife case. Using its indentation in the frame, secure it over a bowl or a pan and use it horizontally. Adjusting the cutting thickness (up to 6 mm) is accurate and easy by using a single wheel located under the machine’s body. Manufactured in black and grey composite materials. The Mandoline 1000 is dishwasher safe. For cleaning maintenance, wash with hot water and dish soap. 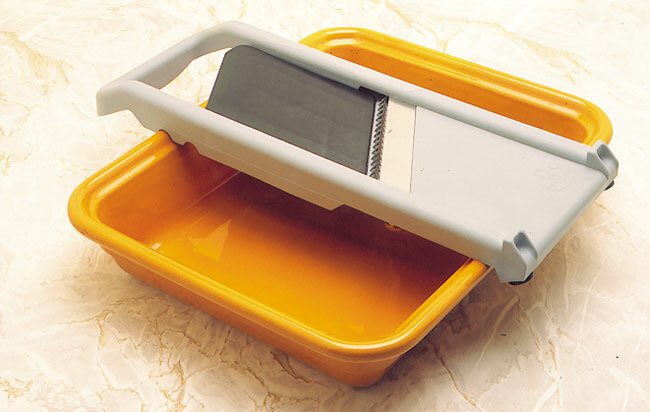 THE CHEF’S MANDOLINE IS DELIVERED WITH: Removable and interchangeable straight blade. Easy to fit julienne blade. Serrated blade. Pusher protector provides hand protection at all times. Suited for all shapes and sizes of vegetables.